Browse: Home /	Community Building, Community Gardens, Composting, Food, Reuse, Street Gardening, URBAN FARM & GARDEN / BIG Garden Work Day/Community Meal this Saturday, June 23rd! 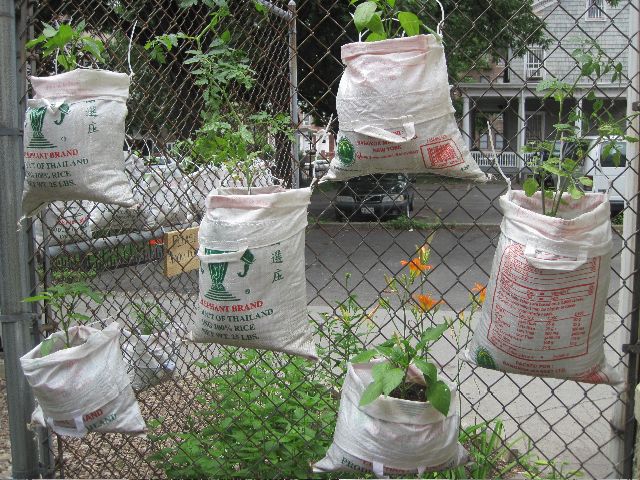 – Planted tomatoes and peppers in repurposed rice bags and installed them along the fence – a must-see! – Planted basil, collards, cilantro, kale, chard, and other greens that are coming up nicely. 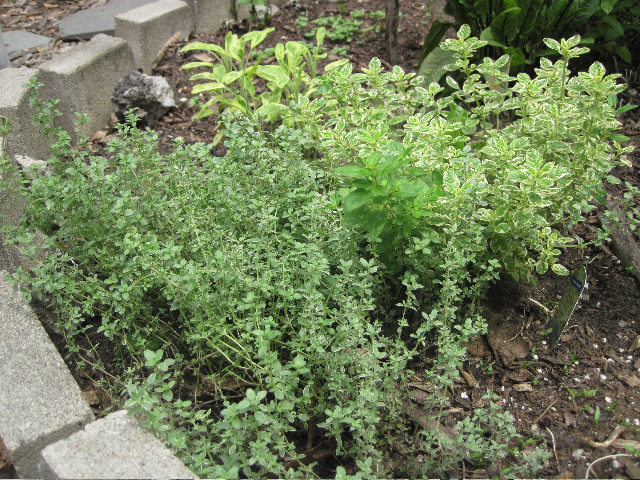 – And for the first time, we’ve harvested our own thyme, oregano and sage – using these culinary herbs in community meals at the church with enough left over for volunteers to take home and use in their own kitchens. See what you’ve been missing! Come out this weekend as we continue to develop our native plant streetscape, edible garden, and community compost projects. * mulch existing pathways and create new ones . . . and much more! And what better way to end our garden work day than with a delicious, nutritious community meal, specially prepared by our own volunteers! Wear comfortable clothing and shoes. We’ll provide the tools. Bring family, friends, and kids too!!! WHAT: Community Garden Work Day! Contact Sheryll (at) sustainableflatbush.org to learn more or to join the garden team.